I suppose we all take the Carry on... films for granted. Jokes and phrases from their bawdy seaside postcard humour have become part and parcel of our common parlance. The films are a constant fixture of our TV schedules, and they've been available on video for as long as tapes have been made available for sale to the public. Although their familiarity is part of their appeal, this constant availability has, of course, eroded their commercial value somewhat. Ever since Video Collection flooded the market with £4.99 bargains the market has been saturated. All of the films (with the exception of 1992's abortive attempt to re-launch the series, Carry On Columbus) have been released on DVD. The first dozen films are currently owned by Studio Canal, and have been released as bare-bones discs here, distributed by Warner Home Video. The rest of the movies were originally distributed by Rank, and the rights have always resided with another company (they were originally released on Rank's own label, and then spent about fifteen years with VCI). 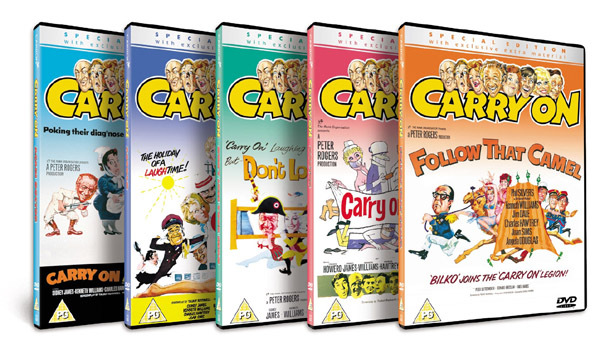 When they were originally released, only one of the DVDs, Carlton's Carry on Camping, came with any bonus material (a fifty minute documentary, What A Carry On). Carlton now have the rights to seventeen of the Rank films, and will be releasing them as Special Editions, each carrying additional bonus materials. 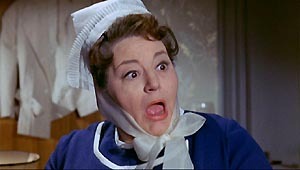 There are four Carry on... films set inside hospitals, beginning with the black and white Carry on Nurse, in 1959. 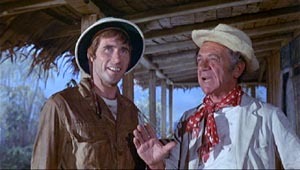 Carry on Again Doctor features Jim Dale as a young Doctor who disgraces himself at a party, and is banished to a rain-drenched tropical island, where he discovers Sid James and a miracle slimming tonic. 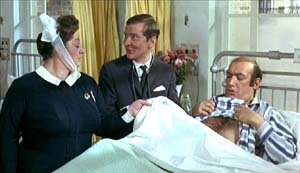 The team reformed for more medical mayhem in Carry on Matron, in 1972. 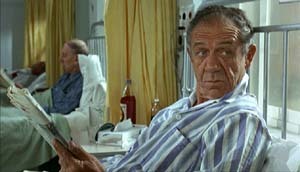 Carry on Again Doctor has an anamorphic (1.78:1) transfer. Hairline vertical scratches appear regularly, but the print is otherwise almost entirely free of dirt or other blemishes. Colour fidelity is generally excellent, with realistic fleshtones, but there are minor colour fluctuations throughout, indicating some photo-chemical decay. Most viewers will be very happy with the image, which is generally very satisfying. Both films have been sourced from materials that reveal their age (and the series' notoriously miniscule budgets), but it's safe to say they've probably never looked better. There's a tiny amount of grain in both, which shows that Carlton have been uncharacteristically cautious with the digital noise reduction (in stark contrast to Warner's Carry on... discs, which have gone overboard with the process). Both films look very sharp, although this comes at the cost of edge enhancement halos, which may bother the most fastidious viewers. The mono 2.0 audio tracks (at 224kbps) are generally robust, with only minor impairments. Both discs come with a healthy selection of bonus materials. Jim Dale provides a commentary track on each, prompted by Jack-of-all-trades consultant Robert Ross. The tracks are rarely scene- specific unless there's a particularly memorable scene, (like the one in Carry on Again Doctor, where he rides a trolley down a flight of stairs), but are full of trivia and anecdotes (although more often than not about Dale's other work, including his Grammy-award winning series of American Harry Potter audio books). Dale admits that he's not seen the films since their original press screenings, and that he's never seen many of the ones he's not in. 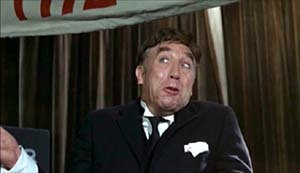 He also discusses what it was like to return to the series without his colleagues in Carry on Columbus. Each disc comes with an episode of the 1975 ATV TV series Carry on Laughing: The Baron Outlook on Carry on Doctor and One In The Eye For Harold on Carry on Again Doctor. Previously released on VHS by ITC in the early 90s, this series, along with the rest of the enormous ATV archive, is now owned by Carlton, and their inclusion not only presents fans with a big incentive to upgrade, but also shows Carlton very shrewdly making good use of their assets. Casual viewers may not be familiar with the TV series, and may be a little disappointed to discover how cheap they seem (they were shot on video, with a tight budget). Like the sets, the scripts (written by TV sitcom writers Lew Schwarz and Bless This House regular Dave Freeman) are a bit threadbare, but the chance to see some of the key Carry on... stars in unfamiliar material, and that alone, is likely to endear the series to a new generation of fans. Fans of archive TV will be delighted to discover that the episodes include their original ATV logo's at the top and tail, and even include the original ad' break bumper animations (proving that Carlton has learnt from the criticisms of their Sapphire and Steel discs). Other extras include a modest, annotated photo gallery (presented in video format), a "Trivia" section (brief production notes) and theatrical trailer (satisfyingly corny, and even more dated than the movies themselves). 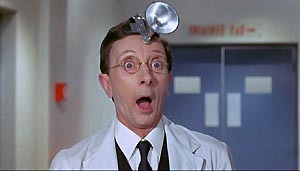 Fans who have already bought the existing DVDs will have to decide for themselves whether the addition of the Carry on Laughing episodes, the anamorphic transfer on Carry on Again Doctor and Jim Dale's commentary tracks make it worthwhile upgrading. Carlton's Special Edition discs have obviously had a fair bit of money spent on them (the animated menus are up to Carlton's usual high standards, for example), but this counts for little if they're going to use old non-anamorphic transfers. Those who have yet to jump in (or have only sampled the Warner Home Video discs, which now look very Spartan in comparison), shouldn't hesitate to add these Carlton Special Edition discs to their collections.